Backed by a diligent team of professionals, we have been able to manufacture and supply an excellent range of Collar Type Packaging Machine. 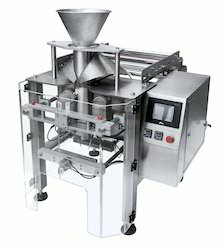 We manufacture this packaging machine by making use of high-grade components and high-end technology so as to maintain the set industry standards. To make a flawless dispatch from our end, this machine is rigorously inspected by our quality experts against various parameters. Provided machine is broadly acknowledged by our clients for its easy installation, rust resistance body, durability and sturdiness. 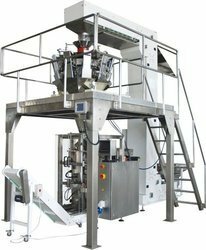 As an esteemed company, we are engaged in providing the broad spectrum of Auto FFS Collar Type Electronic Weighmetric Filling System. We are Highly engaged in the supply of VFFS Packaging Machine.